Is your existing kitchen falling apart? Would you like to increase the value of your home or do you love to cook and have always wanted a beautiful, functional kitchen? If you said yes to any of these questions then you are ready for a kitchen remodeling. In past years, kitchens were mainly a place to cook food, but now they are used for so much more. Now, the kitchen can be a place to pay bills, do homework and fold laundry. It is a place where food is cooked but not only that, it is a place where everyone comes together to enjoy family time. Since the kitchen is one of the most utilized rooms in the house, it can be a great place to start your home remodeling. Families typically demand much more from today’s kitchens than they did in the past. As a result, modern kitchens must be highly functional and designed to support the needs of it’s users. We also still want a stylish, eye pleasing kitchen as well. The fact is people enjoy their home more when they have kitchen remodeling done. They are proud to have friends and family over more frequently and enjoy cooking more often when the kitchen has been remodeled. Kitchen remodeling is more than just a home improvement project. Your kitchen is the heart of your home and the place where your family comes together, so you want it to be warm, inviting and customized to your individual needs. 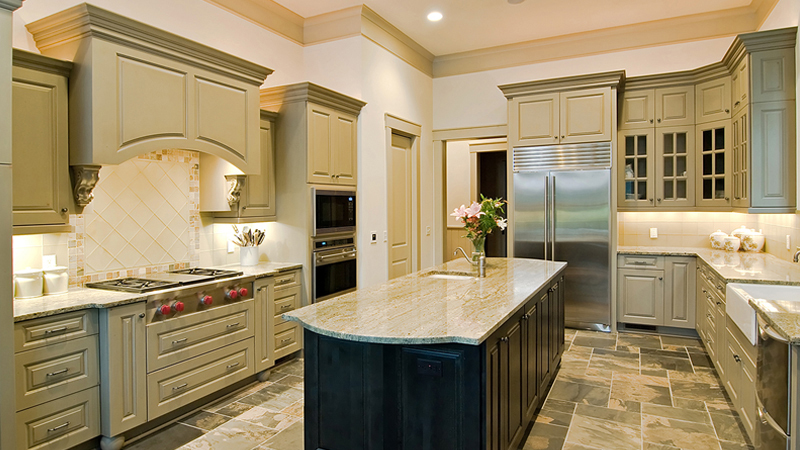 Here at Remodeling R Us we can make your dream kitchen a reality with our kitchen remodeling service. We do everything from custom cabinetry, counter tops, back splashes, flooring, and recessed lighting, you name it, we can do it. Kitchen remodeling is a pleasant experience with Remodeling R Us because you receive personal attention, a wide selection of products backed by manufacturer warranties, creatively functional designs, and impeccable installations. Remodeling R Us is the Best Contractor in Los Angeles Call today and let’s get started on your kitchen remodeling project.